Click to view the July 2012 BIGinsight Executive Briefing. – Economic sentiment perked up from June, though consumers failed to set off any fireworks compared to years past. This month’s reading (32.8%) looks a little stagnant when placed in longer-term perspective – and well below Jul-07’s pre-recession figure of 47.8%. – Workers show signs of concern for personal job security. 4.2% admitted they were anxious about becoming laid off, up from last month as well as one year ago. – With the campaign season about to hit full throttle, consumers seem to be bracing for the onslaught of political propaganda. Overall, though, consumers seem a little less apprehensive this Presidential go-around they did during the 2008 McCain vs. Obama election. Plus: how would you score in a Presidential Pop Quiz? 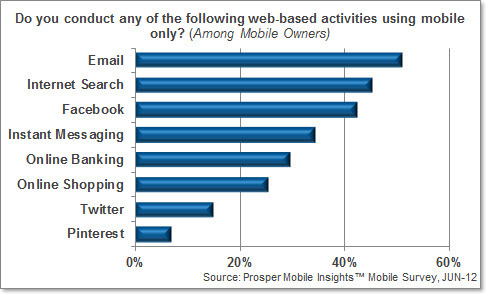 – The uptick in consumer confidence this month may be leading a few shoppers off the practicality platform. Before you start thinking “spending rebound,” though, keep this in mind: practicality remains well above the sensible shopping tendencies we witnessed before the Great Recession. – July pump price prediction: $3.49/gal, 25 cents below the forecast for the end of June ($3.75/gal). For more on this topic: Pain at the Pump: Who (or What) is Controlling Pump Prices? 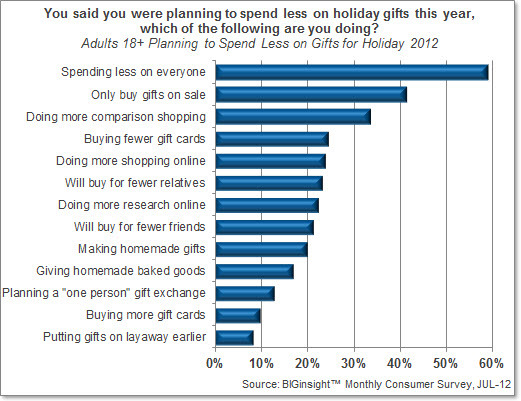 – A bit of Christmas cheer might be in store for retailers: one in ten says they plan to spend more on gifts this year, up from 6.5% in Jul-11. – Was JC Penney’s Fair & Square strategy a gift to Macy’s in Women’s Clothing? For the sixth consecutive month, Macy’s bests JC Penney in this category, though Kohl’s and Walmart continue to lead overall. – In the well-documented Shoe Wars, one retailer is M.I.A. in July. Yes, that’s right (and you heard it here first)…JC Penney (now #6) has been bounced from the Top 5 by Foot Locker. – 90 Day Outlook: Back-to-School (i.e. Children’s Clothing) looks to be a bright spot in consumers’ spending plans. However, with the majority of categories facing DOWNward compared to June, revenues may fizzle instead of sizzle as we make our way through summer. – What’s Hot? Farmers’ fresh fare beats out Spider-Man, Dark Knight. And, to view the latest BIG Executive Briefing in its entirely: July 2012. With Independence Day falling on a Wednesday this year, our family observed the holiday with a cookout held over the weekend. Typically, this occasion is pot luck, and because I’ll try any recipe involving chocolate, I was planning to bake up a batch of Red Velvet White Chocolate Chip Cookies [don’t these look yummy?!] Unfortunately, a sudden summer storm knocked out our power over the weekend, and I had to resort to Plan B: a couple of bags of Mike-Sells and some deli potato salad. While I certainly hope that the other 160 million patriots celebrating their Independence with a cookout, barbeque or picnic do so with a little more, uh, gas, it’s evident that we will all have something to look forward to: the average price of a July 4th cookout is projected to be a little lower this year. 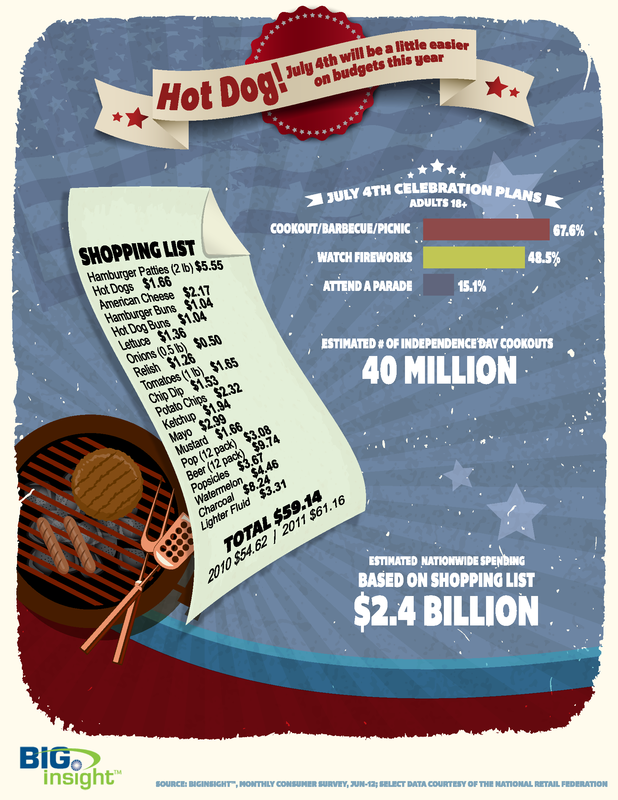 Despite consumers’ concerns with rising food prices, the average cost of an Independence Day picnic is down a few dollars to $59.14 (from $61.16 in 2011). 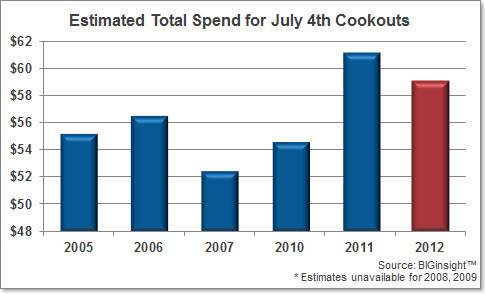 This translates into a $2.4 billion in cookout-related spending for celebrants collectively…that’s a lot of coleslaw! While the prices of charcoal and lighter fluid look to be on this rise for 2012, it appears that grocers are relying on select loss leaders to draw customers to their stores. In particular, we found that hot dogs and American cheese seem to be sparking savings. Knowing how practical consumers continue to be, though, I’d expect ad circulars, coupons, and even mobile devices to play key roles as shoppers seek out the best prices for their cookout supplies. Enjoy a happy and safe 4th! Click here for complimentary infographic and cookout-related report.